The Curtis Coffee Filter GEM-6-101 may seen like a simple paper filter, but it’s made to the same high standards as Wilbur Curtis brewers. There’s no reason to compromise your Curtis brewer by buying cheaper filters. 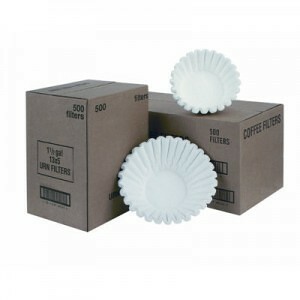 The Curtis Coffee Filter GEM-6-101 are made using a no-bleach process and made to be used with Wilbur Curtis Coffee brewers. The paper filters have fluted side to avoid collapse, and the porousness is designed to hold the hot water for the correct amount of time in the brew cone in order to extract maximum flavor without bitterness. The Wilbur Curtis paper filter GEM-6-101 is designed to be used with many of the same brewers as the GEM-6 filters, but for brewers with larger brew cones. The GEM-6-101 filters have a 15” flattened diameter, while the GEM-6 filters are 12.5” flattened. Check the brew cone to get the correct filter. 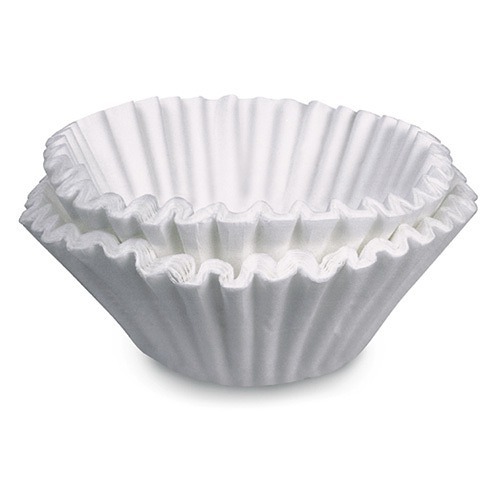 The Curtis Coffee Filter GEM-6-101 is designed for use with the following brew cones: WC-3422, WC-3398, WC-3422IC, WC-3399, WC-3396-101, WC-37259, WC-37256, WC-37239. TCTS, TCTT, PTT, CBS, CBP, CBHS, CBHT, RSTB. If there are questions, get the “WC” number off of the brew cone and call Wilbur Curtis at 800-421-6150 to find out which paper filter is the best for your brewer.